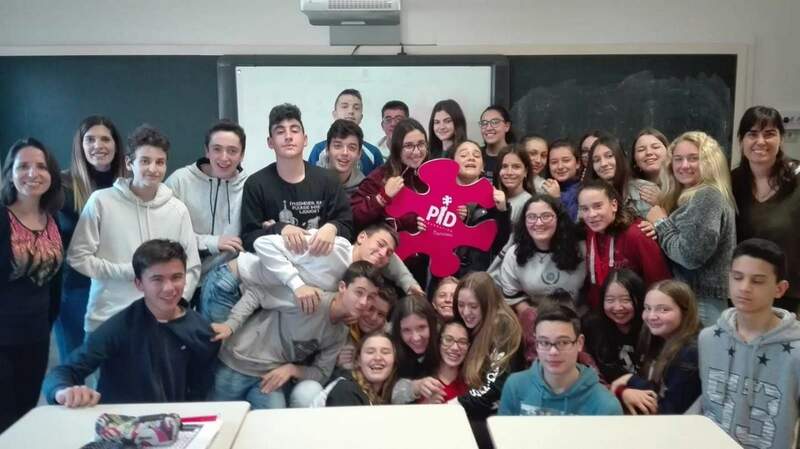 ESO 3rd year students from Fonlladosa schools in Malgrat de Mar, have chosen the Barcelona PiD Foundation to support PID children organizing acts during the week of school solidarity. On 11 March, the BCN PID Foundation team went to the school to explain what Primary Immunodeficiencies are, what it means to those who suffer a PID and what is the work and projects that the Foundation develops. The students explained to us how they have worked for groups to think and organize activities. They will do a gymkhana for younger students where they will set up stalls to sell food and crafts and organize a solidarity walk for Malgrat. They were very motivated to be able to help and we would like to thank them and the team of teachers for their reception, for their support and for the dissemination they are doing in their educational community and in the town of Malgrat. The funds raised will be devoted entirely to research projects.